I thought given the new rules, it would be good to have a thread where we can just generally chew the fat over potential choices and so forth. This thread is for exactly that - fill your boots with whacky ideas, odd suggestions, and team-ups for songs! How will this work? Is it a simplistic case of the most popular suggestions will get played or is there to be a quota system, divided into categories? e.g. Half a dozen old faithful songs that plenty of forumites know, a bunch of trickier pieces for the flash gets and, maybe, a small left field category for having some big fun in a silent way? ...maybe, a small left field category for having some big fun in a silent way? Changing for each jam depending on who is going. Nothing is off limits and we are aiming for as varied a choice as is possible. Could it be this is the jam where we drop Comfy...? I want to try 'Time' at either Quad or Sasquatch or both so it's the same sort of thing but a new flavour. What do people think of doing that? Above comments moved from the Quad songlist suggestion thread. I'm gonna do Paganini 5th caprice. Aren't those the football stickers? I don't see why Comfy should be an automatic choice for every session. There are plenty other songs out there, and plenty others that could rival Comfy for "classic" status in the jams. Not least @Alnico's suggestion of Freebird if we could get that properly right. Lucy Leave - one of their very earliest (as The Tea Set) but the solo stumps me?!?!?!? Syd's Gigolo Aunt with his deceptively simple riffs throughout. I can only imagine the raised eyebrows, tut-tuts and pursed lips amongst tFB cognoscenti at these rather idiosyncratic selections, but you know what, I don't care. I'd love to find someone with the same tastes and be willing to share the same desire to play these live. Those might be the sort of things @fandango that you could get going in the separate jam rooms? I agree completely, it shouldn't though up to this point I think it's the only one we have done at all of them. So it is possible those making their choices are assuming it will be there (it's always popular for signups) and therefore might be assuming someone else will pick it. It's worth making clear that if nobody picks it then it's not making the list? Agree - it's always popular, and for good reason. I still remember the version played at Quad last year which was absolutely stunning given the lack of rehearsal, prep, etc. Great song, well played, sounded brilliant. But perhaps another "classic" that took its place could be even more popular, more stunning and more brilliant? I think we have to decide what the reason why we include Comfy in the jam sessions. One of the reasons is the extended guitar solo at the end of the song which, let's be honest, we all like to play. For those of us that are confident in doing some kind of extended solo there are lots and lots of songs we can put in instead of Comfy. At the last 2 Huddersfield jam sessions we put in Purple Rain and While My Guitar Gently Weeps both of which have a nice chord sequence to solo over. @alnico has suggested Freebird, which is a great pick for this kind of song, and can easily be shared by three guitarists. If we want this kind of song in the jam, there are loads of non-Floyd stuff we can put in. Let's think about it, it's a jam, so if we can coral enough people we can do Comfy in a side room if we really want to. If you want the “benevolent dictator” view - then largely I share @vasselmeyer ‘s opinion above. The Jams need a showcase song for those who like an extended widdle - and a song that can cope with a number of guitarists of all abilities. There are loads of choices and loads of great songs. Let’s play them. I wasn't suggesting that Comfy is therefore untouchable. Yes. I actually think we should try something different as a challenging finisher. I like the idea of Freebird as well..
My preference has always been for the jams to be, in main, about learning, so a swap to Freebird also gets my vote. Can we dual solo "Get the Funk Out" ? Great song.. I know you'll do great at that! I'd better get my songs down before I miss the deadline! Hmm, not so sure about final choice. Maybe something easy like Sultans Of Swing? The Nile Song - the first Floyd song i dreamt of playing all those years ago. Haven't yet tried but will do soon. I'd love to find someone with the same tastes and be willing to share the same desire to play these live. My teenaged self used to cover that one. Pretty simple except the "no time or money for a second take" guitar solo. Your wish has been granted. I have no plans to sign up for the day. My song suggestion is A Million Miles Away by Rory Gallagher. Just realised your going to the western one which I'm not @Vibetronic ; - a shame but hope to see this on video! I would absolutely be up for Jumpin' Jack Flash. 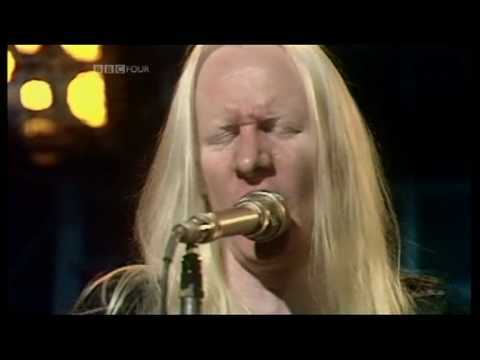 Can I suggest the absolutely rocking Johnny Winter version? Is it the shiny shirts and synchronised guitar moves that you want to recreate from that version?